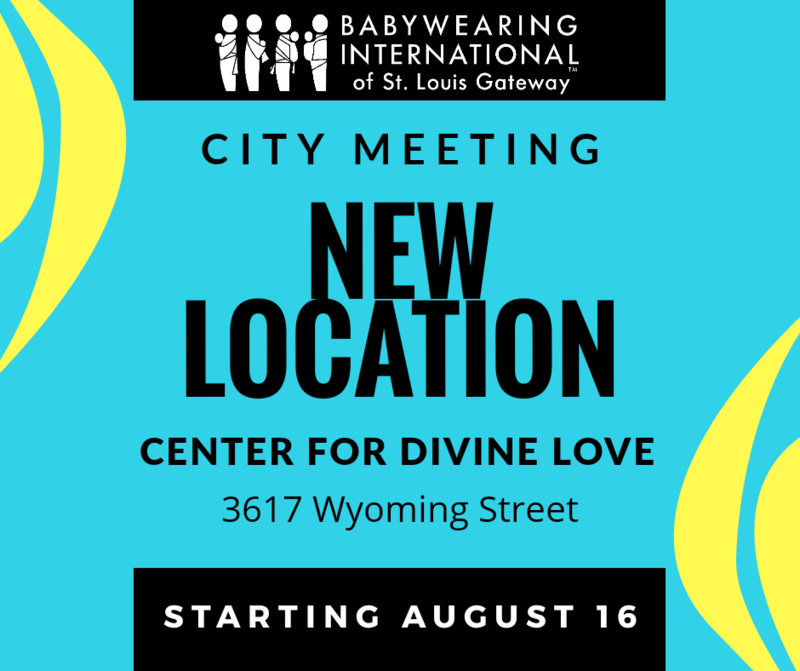 Our BWI of STL City meeting has been located at Parenting Resources for quite some time, and we cannot thank them enough for hosting us in their space and supporting babywearing education in St. Louis. Due to their focus shifting to online and on-location education, they are closing their play space in South City, which means we needed to find a new space for this meeting! Our volunteers did a lot of legwork searching and have landed on a great location, only a block away from the old location, and our meetings are now confirmed there for the rest of 2018. The Center for Divine Love (view a map here) has plenty of off-street parking in the lot adjacent to the building; enter through the door marked The Empowerment Center and you will find a nice large meeting space! The City meeting will continue to meet here on the third Thursday of each month at 10am, beginning with the next meeting on August 16, 2018. Please join us and feel free to contact us if you have any questions!